BRISTOL, MAINE — Elizabeth Zwicker, known to friends as “Topsy” or “Bette,” of Bristol died October 28, 2018 at Harbor View Cottage of the Lincoln Home, age 83. Bette was born in Reading, Mass., on May 30, 1935, the only child of Margaret Richardson Zwicker and Franklin Wesley Zwicker. After World War II, she recounted traveling the Inland Waterway to Florida with her parents on their boat, taking correspondence courses to keep up with her school work. 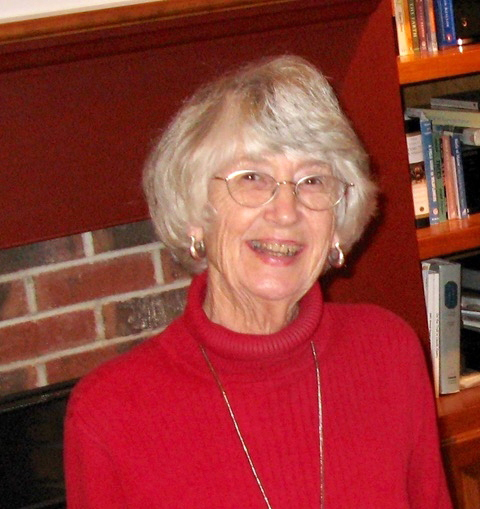 She graduated from Kingston, Mass., High School with the class of 1953, where she was a member of the National Honor Society and played on the basketball, volleyball and field hockey teams. She attended Gettysburg College in Gettysburg, Penn., joining Chi Omega Sorority, and in 1956, she completed a two-year course at the Chamberlain School of Retailing in Boston. After graduating from Chamberlain, Bette worked for the Jordan Marsh Company, based in Boston, and rose to become the buyer for the couture department. She traveled frequently to Europe to attend designer shows in France, Italy and Spain and coordinated fashion shows in Boston. A surviving itinerary from one of her trips in 1967 or 1968 shows her flying from New York to Dublin to London to Milan to Florence to Athens to Tel Aviv to Rome to Barcelona to Madrid to Paris to London and back to Boston between April 22 and May 14. In 1977, Bette took a leave of absence from her fashion career and moved to Bristol, Maine, with her father, her mother having died in 1955. Upon his death in 1981, she embarked upon a career in the antiques business, selling from the barn on her property, The Bristol Barn, and at antique shows all over New England. She traveled to England to purchase antique items for sale in the United States. Bette loved the antiques business, but it was the people in it that brought her the most joy. She considered her antiques dealer friends her family and welcomed them into her home in Bristol on a regular basis. “When you come to Maine, stay with me” was an invitation given to many. Bette was a member of the Maine Antiques Dealers Association and organized their antiques show for several years. She also was a member of the Congregational Church of Bristol, UCC, where she helped with the church fair and women’s circle. She volunteered at the Miles Memorial Hospital Thrift Shop with the Pemaquid Watershed Association and at the Pemaquid Light House. Bette’s generous nature, warm smile and indomitable spirit will be missed by her many friends in Maine, Massachusetts, other states and England, who remember her and the happy times they shared, and also by the staff of the Lincoln Home and Harbor View Cottage, who compassionately cared for her during her final years. Contributions in Bette’s memory may be made to the charity of the donor’s choice.